Now don’t be shy, people want to see your face. All right, I’ll go this way. I’ve had enough of this! Would you come back for a carrot? … to all of my blog readers. Rabbit owner: Hello, is that Shadwell’s pet store? Pet store owner: Yes, how can I help you? 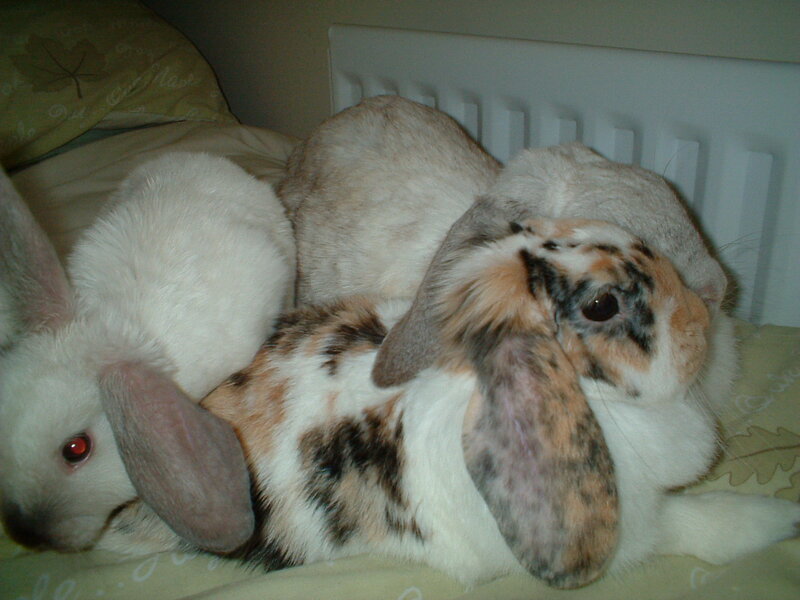 Rabbit owner: I have a litter of six rabbits and nobody wants them. Could you take them off my hands? Pet store owner: Where do you buy your rabbit food? Moral: Support you local petshop… or else! I’ve been submitting to ezine articles on the subject of writing and publishing, and have gained a modest readership. I decided that I would also add an article about house rabbits. It went straight in at the top as my most read article. Could it be that articles and blogs about writing are reaching saturation point, whereas there is a niche market for advice on rabbits? 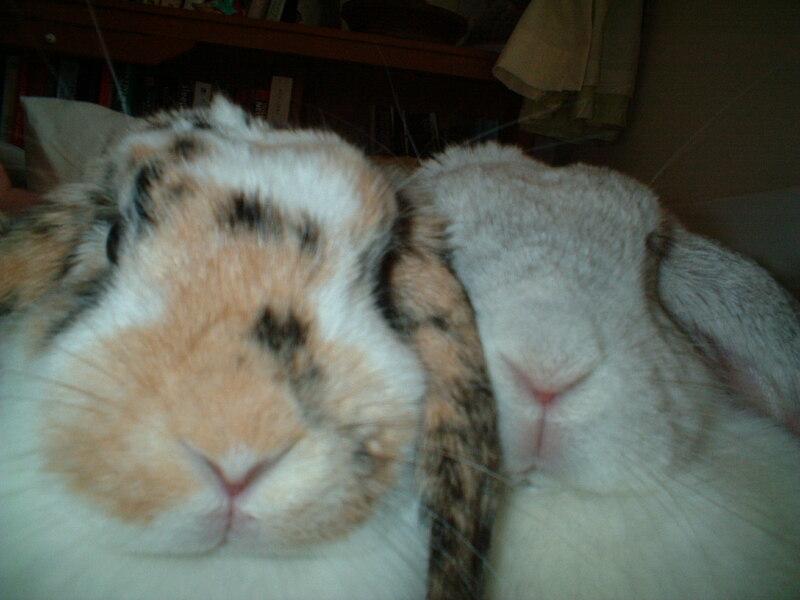 In that case, here is a photo of two cuddly bunnies who used to share my home….